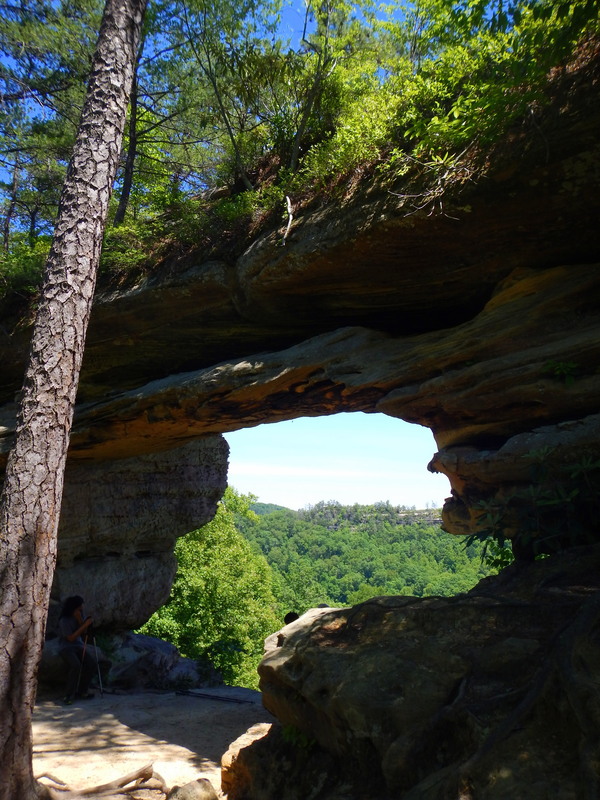 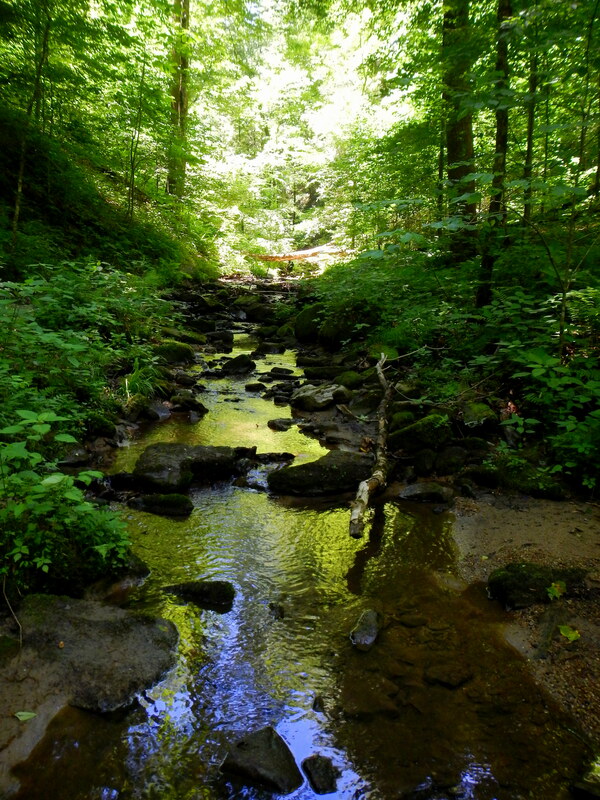 After the thunderstorms of the previous day blew over I headed back into the Daniel Boone National Forest to hike the Auxier Ridge Loop, which connects the 2.1 mile ridge walk with the Branch Trail and the Double Arch Trail and Spur. 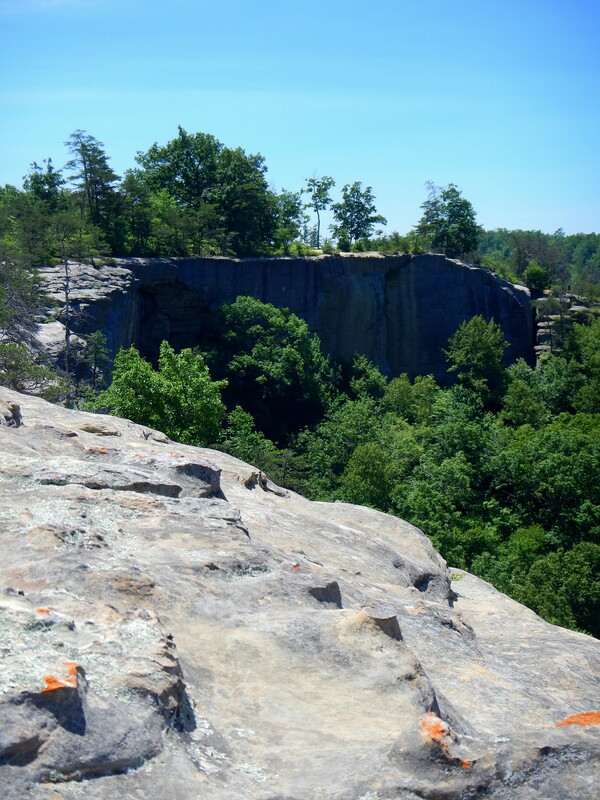 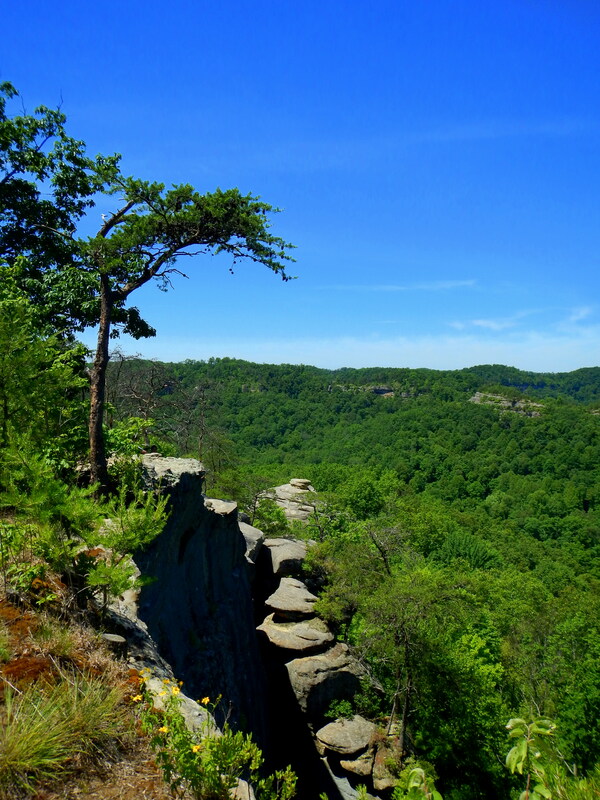 The Auxier Ridge Trail has spectacular views of the Red River Gorge from both sides, gradually improving as the trail becomes more exposed and the ridge narrows. 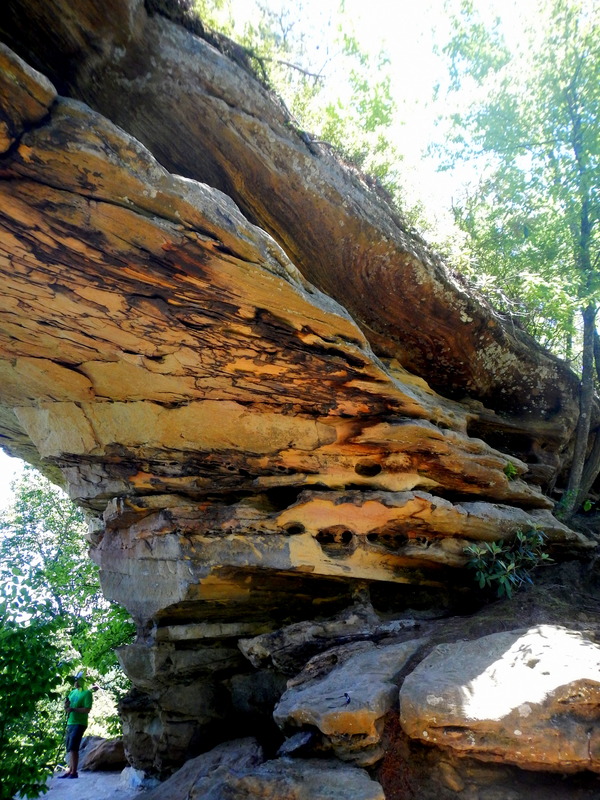 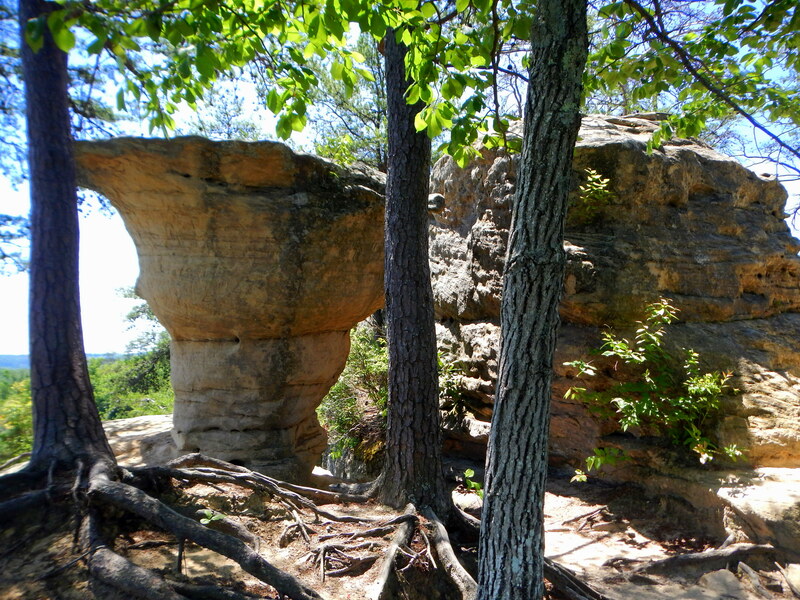 The trail also offers views of Courthouse Rock, a large sandstone formation that resembles a neoclassical judicial building, before it descends from the ridge into the thick forest where it connects with the Branch and Double Arch Trails. 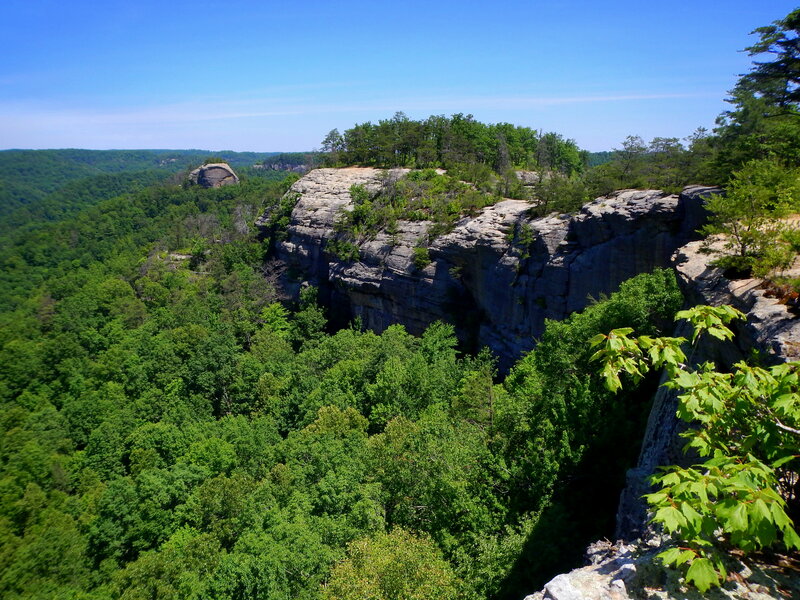 The low areas beneath the ridge cliffs are thickly forested and crossed with whispering gurgling streams. 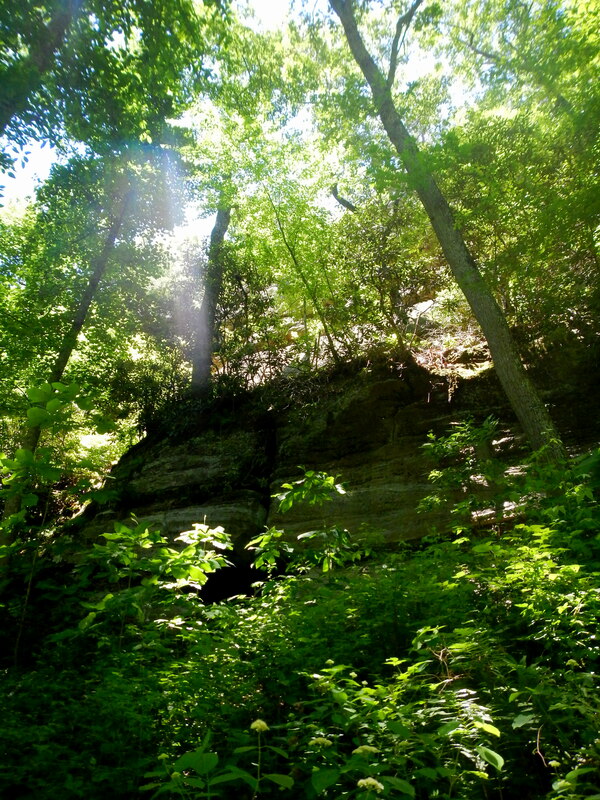 I strolled through this area for a little less than a mile enjoying the peace and coolness of the forest before turning onto the Double Arch Spur, a narrower track that wound upwards through hemlock stands overgrown with poison ivy. 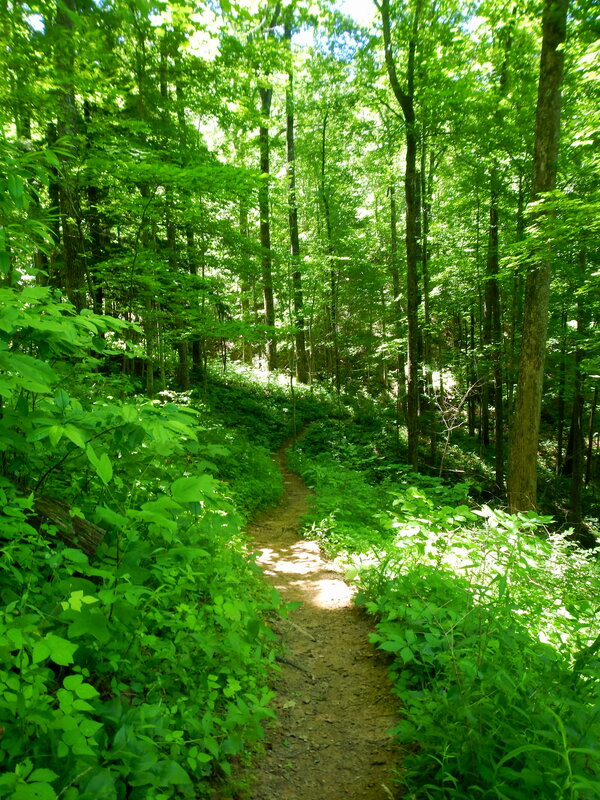 Through some miracle combination of on-trail contortions and a thorough cleaning of all my gear later that night I managed to again escape the dreaded urushiol but I would offer a warning to those with severe allergies. 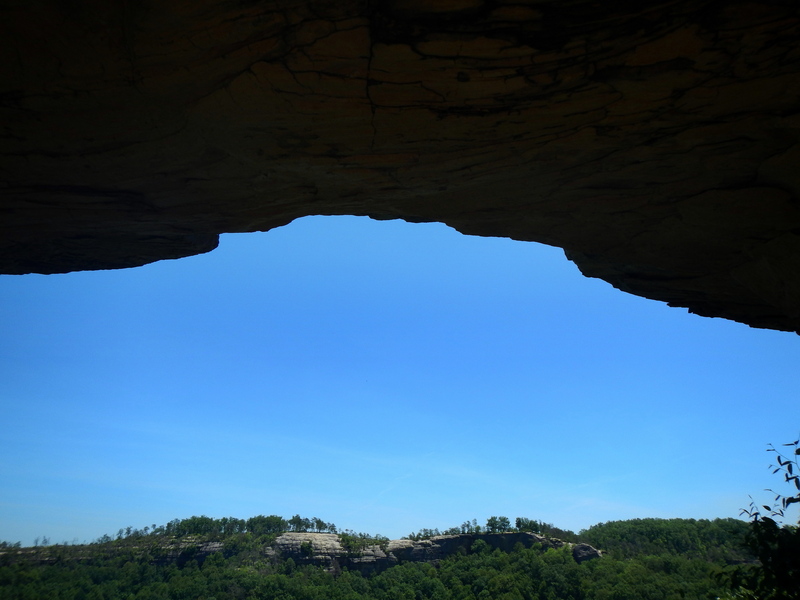 After reaching Double Arch I paused to look out over another view of the Red River Gorge and back upon Auxier Ridge before descending back towards the valley. 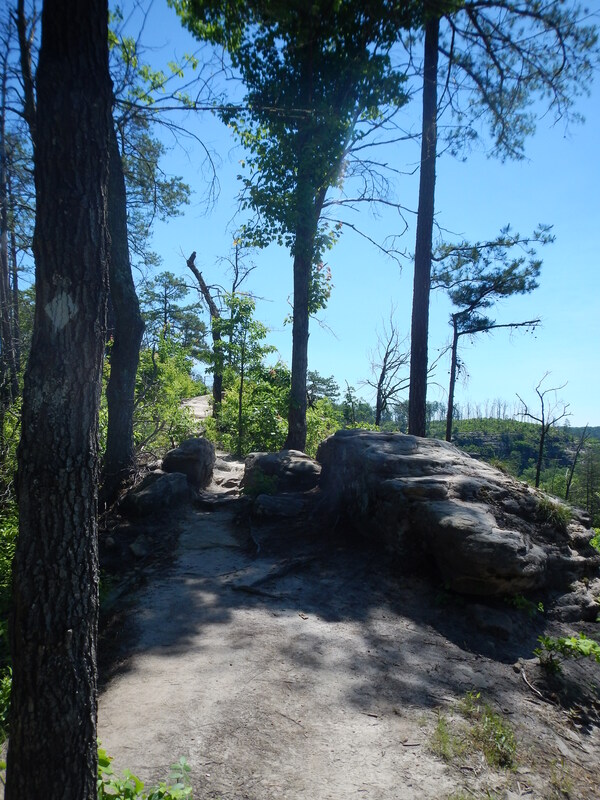 After rejoining the loop from the spur trail I climbed back up the cliffs to another ridge on which the trail followed an old logging road for the last mile or so. 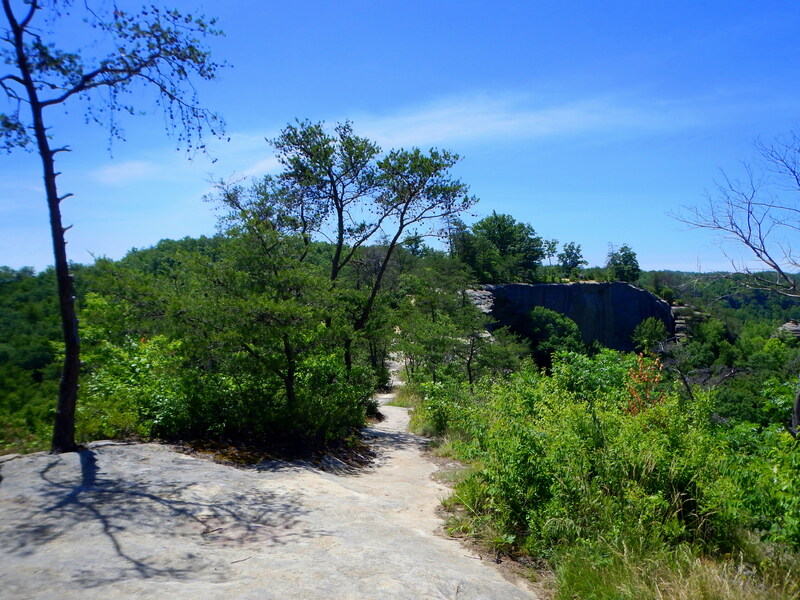 Although the route I took was only about six miles it ended up taking me over four hours because there was so much beauty to appreciate from the ridge views to the picturesque lowland streams to the incredible double formation of the arch.